Well, goodness. Rather long radio silence there. Sorry about that. Popping in tonight to interrupt this little blogging sabbatical with a lovely bit of news. In the backyard of his parent’s house and under a sky full of rain, Joel and I got married over the weekend. I’ve sat staring at the screen for good long minutes wondering where to even start and what to even say; how to sum up a day I could never do justice to describe – an outstretched hand full of life’s best moments – the ones which immediately trump any which have been before – the ones you take to your grave, flashing before your eyes in those last breaths you take. Four days on, I’m still disorientated by it, still in a haze remembering every little thing I can. Truth is, I didn’t think getting married would change anything, make anything feel different. Our children have already given us a level of commitment I doubted marriage could ever match. Joel and I got married less to declare a future together and more to party with a small group of people we love. But standing in front of our people on Saturday, absorbing the tears spilling from Joel’s eyes, reading something in them I’d never seen before, I suddenly felt with this enormous ferocity that it was different. It felt unlike it had ever felt before, as if the earth tilted ever so slightly, finally sliding and locking us into that groove we were to move along. It mattered – it meant something – in a way I never anticipated. And now, to see that band of silver circling his finger feels as though he is saying to the world: My heart is already taken. Please move along. I cannot even tell you how lovely that feels to me. There are so many favourite moments, so many memories I’ve tucked away inside – how it felt in those last fifteen minutes before the ceremony started, hiding away upstairs with Mum and Dad, Ella and Billy, Chris and Liam and his girlfriend Sophia, how it felt to scan the faces of the crowd, their eyes literally beaming at us with love, my brother-in-law’s speech…absolutely hilarious (Getting asked to be the best man is like being asked to sleep with the Queen. It’s an honour, but you don’t really want to do it. ), Joel’s speech and not only what he said but the way he looked at me when he said it, the quiet time Joel and I had when we got our photos taken and how it was the most bonded to him I’d felt in my life, hearing the awwwwww from everyone when our children walked down the aisle (they looked seriously cute), and more than anything, this all-encompassing love that filled every corner and nook and air space of the entire night, creating a dome above us, like this sacred bubble of a thing. We had six weeks, a small budget and a secret to keep, and though we told our families, for everyone else we wanted the fun of a surprise and the experience of the day to be laid back and intimate. More times than I could count in the lead up to the day, I’d secretly (and not so secretly) wished that we’d not done everything backwards – that we’d gotten married before having children, simply because it added about a million times more stress when children are whinging and whining and hanging from you when you’re trying to make decisions and pick up flowers and paint signs and stick a gazillion sticky labels on jars and generally stay sane. It was not our best six weeks, I’ll say that much. But to have them there with us? To see the tears on Joel’s face as our little ring boy and flower girl walked down that aisle towards him? Floored me completely. There isn’t a word on earth to represent how it felt. Ella and Billy will always be part of Joel’s and my love story, and I’m so grateful they could share it with us. Besides, Ella got to stay up super late, the latest she’s stayed up ever before so she thought it was the coolest. More photos and details and videos to come, including a little How To post on How To Throw A Cute Backyard Wedding For Under $10 000. If I’ve learned anything from my wedding day, it’s that it doesn’t have to cost the earth, that tiny details make it meaningful, that you’ll never enjoy it until you let go of its perfection, and that no one cares about anything more than the love they’re witnessing and the fun they’re having. Saturday the 21st March, 2015 was hands down, the best day of my life. I’m so happy to be Joel’s wife. Big congrats again on your surprise wedding! You are a superwoman pulling off that off in six weeks! And yes yes yes! It’s hard to explain but getting married definitely changes things. And gives you a great reason to chuck the most awesome party! You will cherish these memories forever… Every time I look at our wedding photo on the wall I smile as I think back to our magical day. oh, rachel, that is beautiful! so happy for you and joel, and for ella and billy, as well. you guys didn’t do anything backwards- you did it all exactly the way it was supposed to be for you. any other way would not have turned out the same. and in the end, it is all about the love. Congratulations to you all! 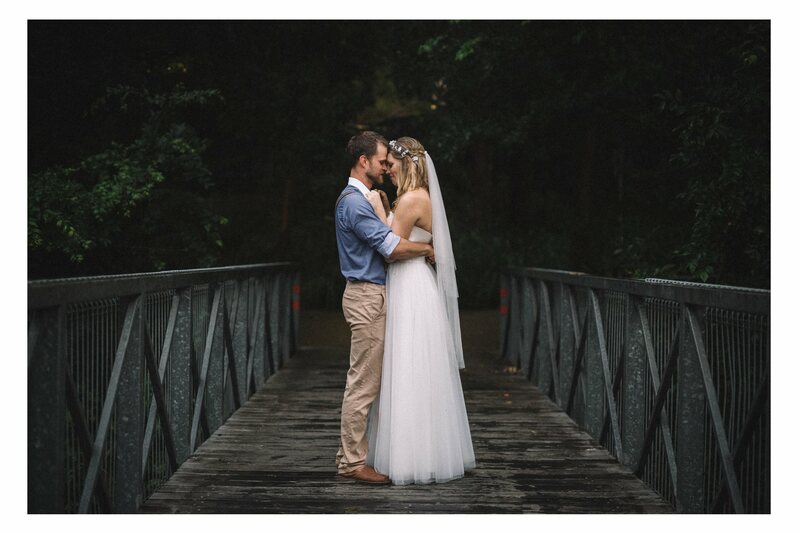 =] thanks for sharing about your beautiful day!